Blue chairs are in! 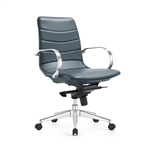 Office Furniture Deals offers an extensive selection of blue chairs for office lounge, executive office, conference room, and home applications. 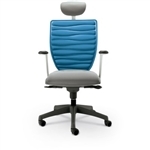 Shop best selling blue office chairs for sale today with free shipping and our everyday low price guarantee. Your Price: $128.99 *Quantity Discounts Available! Your Price: $313.99 + Free Shipping! Your Price: $216.00 *Call for Additional Savings! Your Price: $312.00 *Call for Additional Savings! Your Price: $412.00 *Call for Lowest Price! Your Price: $427.00 *Call for Lowest Price! Your Price: $583.00 *Call for Lowest Price! Your Price: $531.00 *Call for Lowest Price! Your Price: $546.00 *Call for Lowest Price! Your Price: $402.00 *Call for Lowest Price! Your Price: $366.00 *Call for Lowest Price! Your Price: $436.00 *Call for Lowest Price! Your Price: $384.00 *Call for Lowest Price! Your Price: $491.00 *Call for Lowest Price! Your Price: $561.00 *Call for Lowest Price! Your Price: $470.00 *Call for Lowest Price!